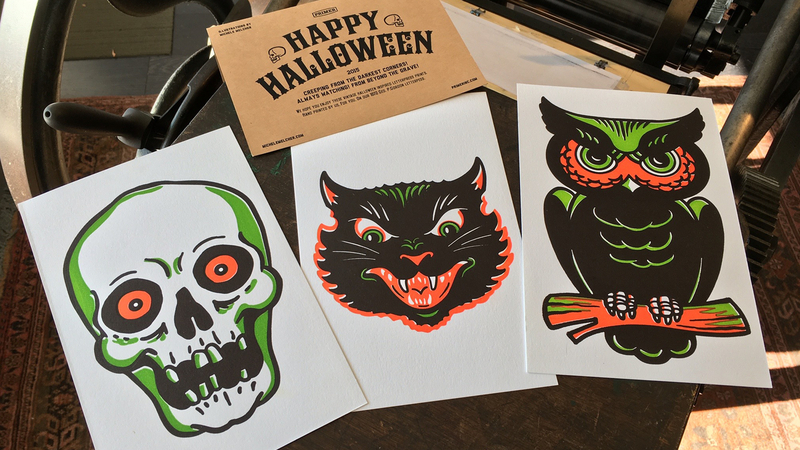 This year we decided to stretch our printing muscles and produce a series of 3 vintage Halloween inspired prints. 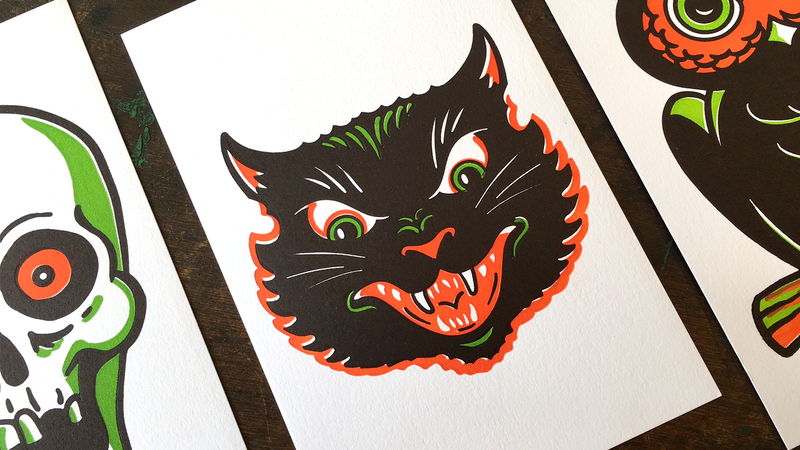 I have always associated Halloween with a particular graphic style. Flat colors, off-registered printing and simple colors. We worked with Michele to create the illustrations and printed them here, by hand, one at a time, at the studio on our 1872 GEO P. Gordon platen press. 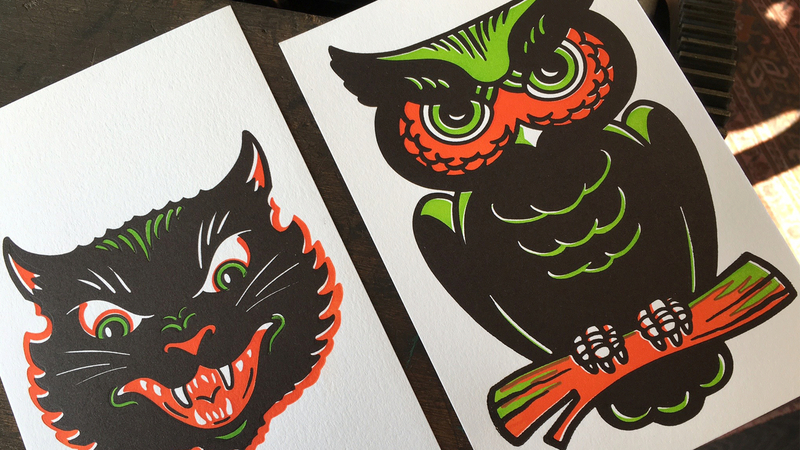 Three prints, three plates each, three color changes...it was a beast of a print run. Each print going through the press three times over a marathon fifteen hour print run. It was super fun. It's always nice to step away from web development and roll up the sleeves and dig in to some ink and paper. If you are not on our mailing list. Please shoot me an email and we will add you to the next one. 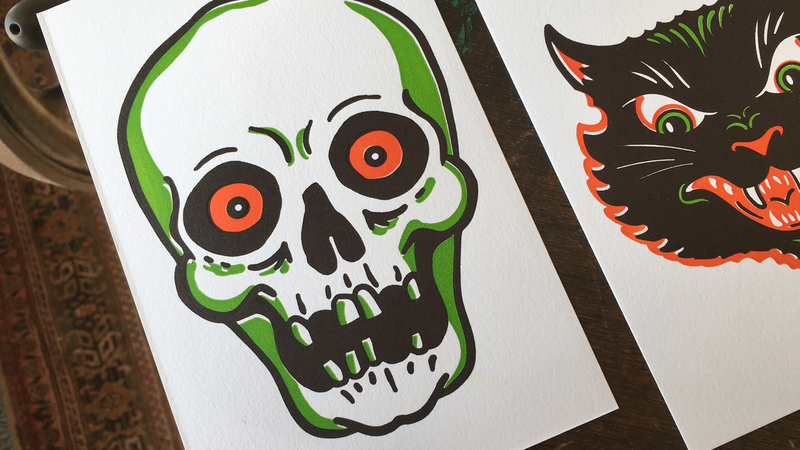 At Primer we are inspired by the illustrators, photographers and designers that help keep our industry vibrant. We have created a gallery space within our storefront studio that showcases their talents. Would you like to show your work at Primer? Are you a professional illustrator, photographer or designer? We would love to be inspired. Please contact us with your information and a PDF sample of your work.